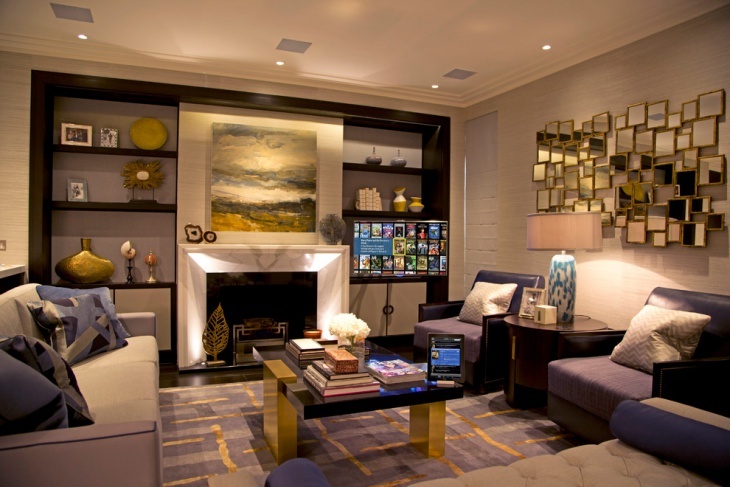 Are you looking to give a luxurious makeover to your living room? If yes, we have a perfect royal color theme for you. 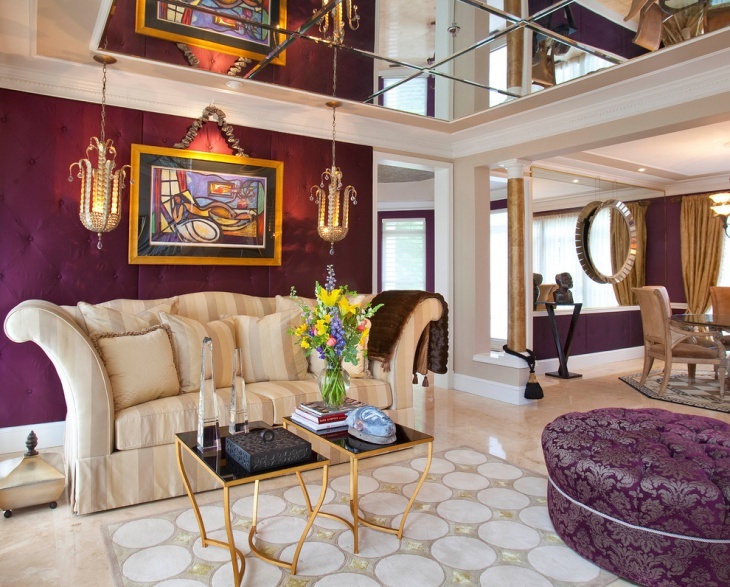 Purple and gold are two bright and very rich colors to add to your living room. Both the colors reflect all the grandeur and charm of royalty. Well, we cannot help you with the royalty in your account but can surely assist you to imitate it with the design.Today we have included a set of design ideas for your living room that are going to give you a perfect royal transformation to your place. 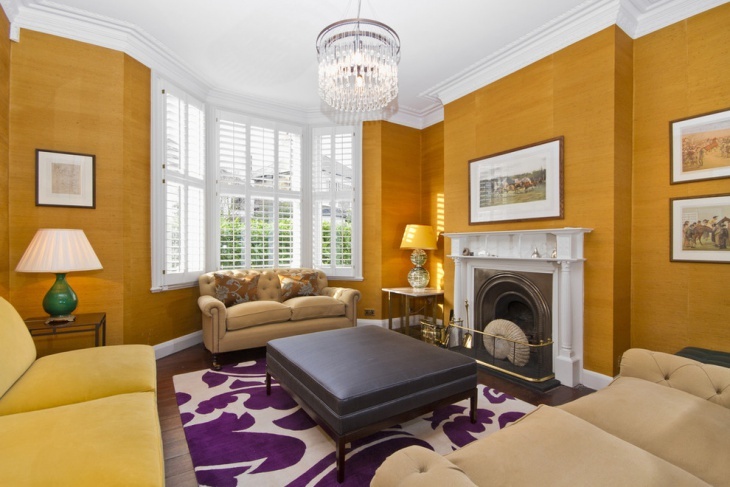 Gold and purple are the best suited royal contrast you can add to your living space. The look of gold has always had a close connection with the feel and appearance of royalty. 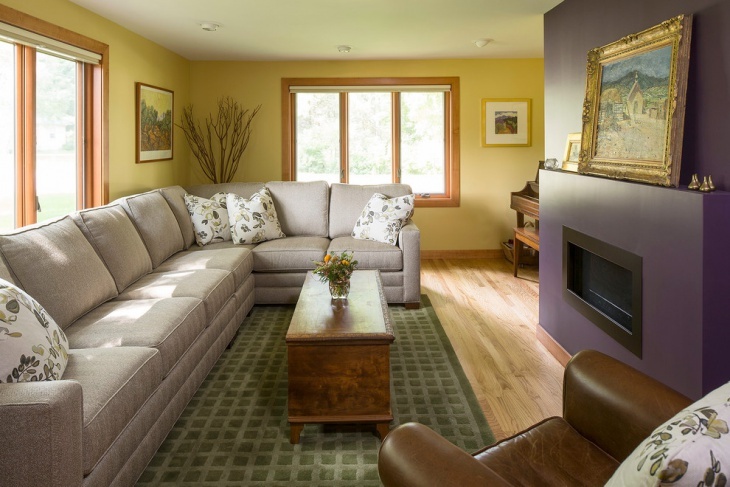 The color gold painted on your wall can be duly contrasted and complemented with purple carpet. The look is inclusive and will require minimal decor elements to further polish the appearance. 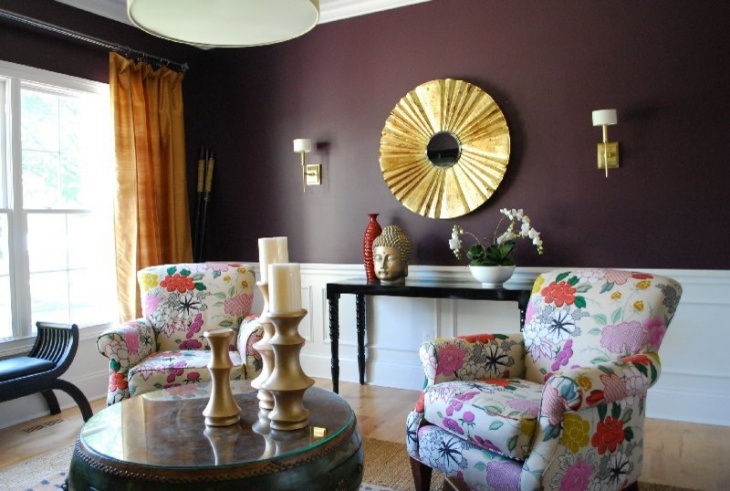 Purple and gold can also be included creatively by painting the walls purple and including the gold with decor elements. If you really love the look of purple, adding the throw pillows of the same color palette can further enhance the appearance. 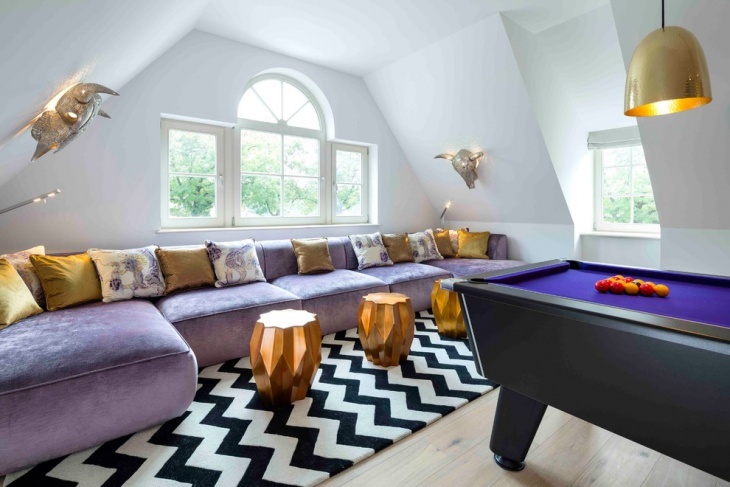 If you wish to include the look of purple and gold without it being too overbearing for the eye, try and include a soft toned purple sofa and an even mellow gold paint for the walls or the pillars in your room. The look is going to exuberate royalty with much elegance. 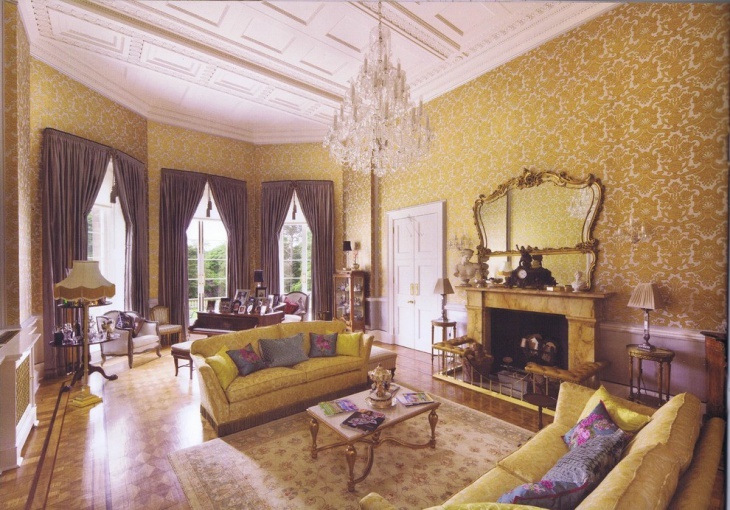 Wallpapers and chandelier are another way to add a royal touch to your place. Golden motif wallpapers add the perfect glam to your living space. You can even match the color of your sofa and couch to the wallpaper. 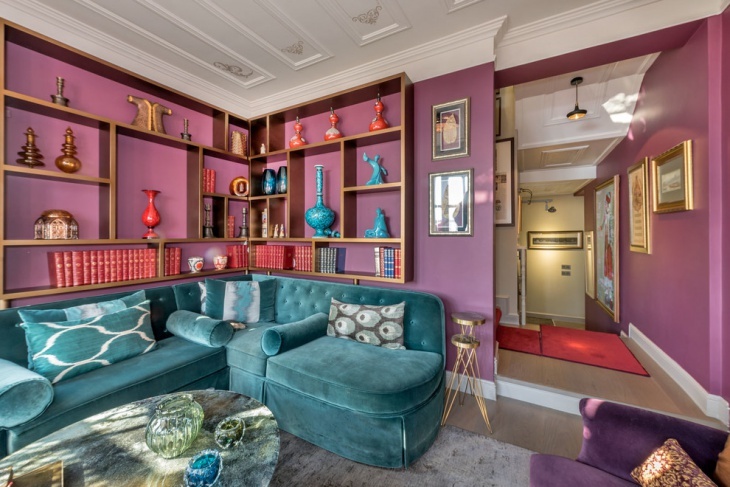 With a bright golden look, we suggest you include purple minimally with the help pillow covers and rugs and even something as simple as magazine and books. 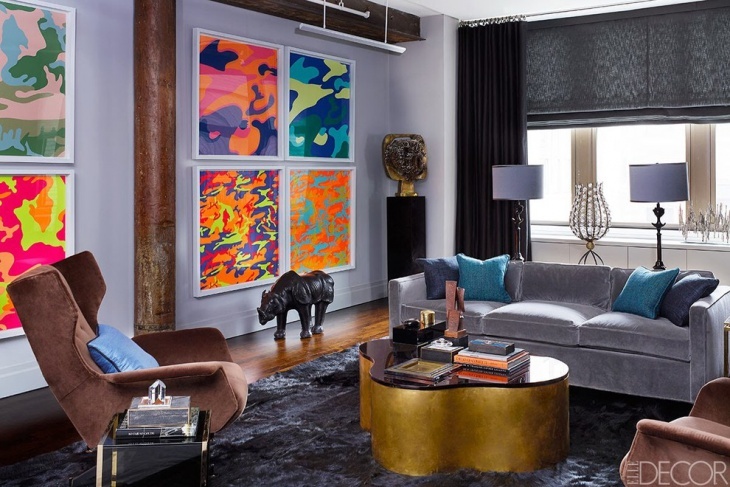 For a refined luxurious look, you can add a velvet touch to your living room. 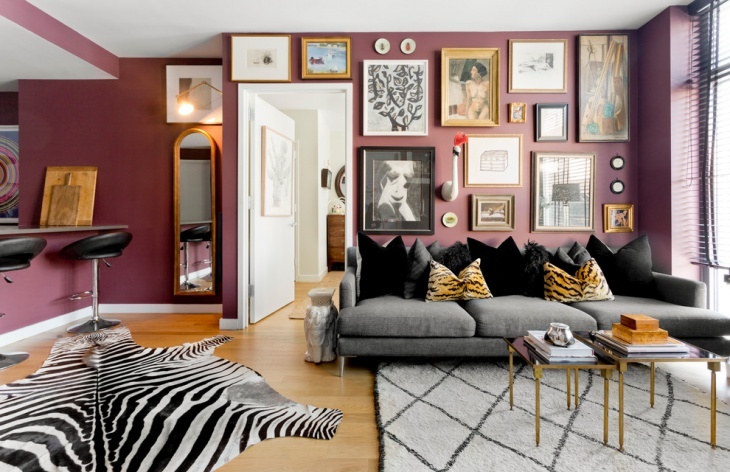 Include a sofa in purple velvet color and you can see the royalty reflect in every nook and corner of your room. 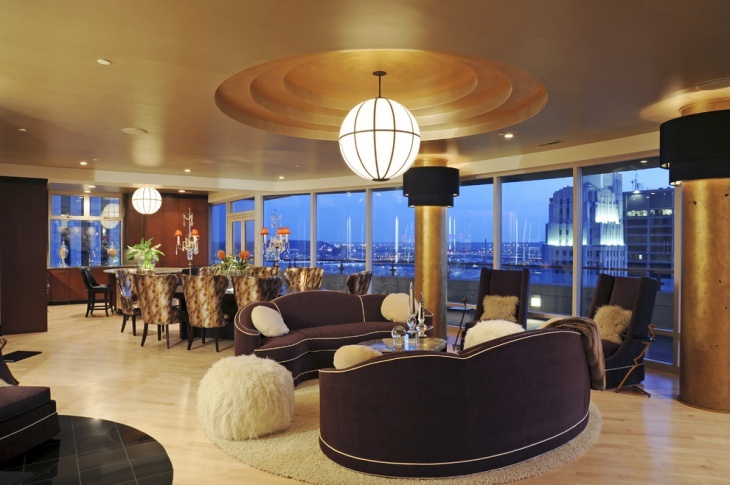 Golden contrast can be added with the help of lamp or accent pieces. White furniture gives you the maximum flexibility to experiment with the royal decor. You can add purple with pillow covers, drapes, artwork and decor elements. For a rustic gold look, try and include the touch of copper with the help of mirror frame.Even adding wooden furniture acts as a golden contrast to your living room. Adding a gold colored fabric couch can bring a very royal feature background to your living room. 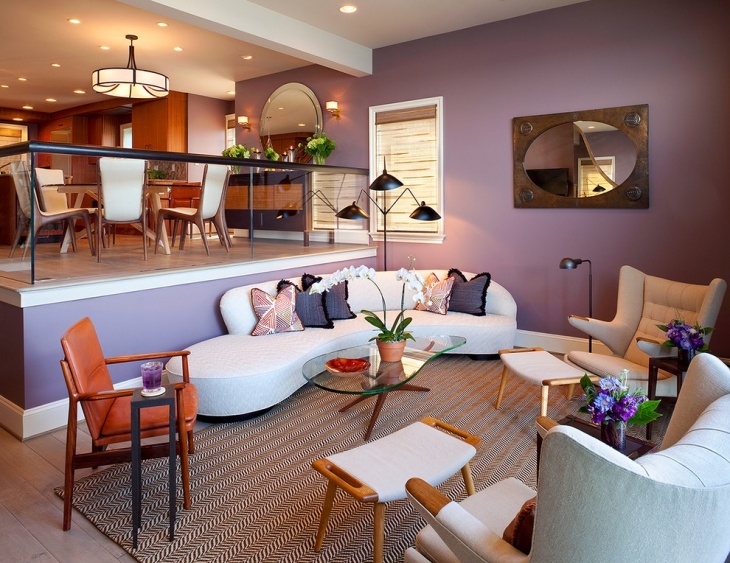 With a purple carpet, the look adds a subtle contrast. You can bring the vintage look with the help of gold center table runner. Purples are available in various tones if you don’t like a bright tone go for a soft purple color couch or divan and match it with a black and white rug or carpet. Try and include royal blue and gold pillow covers for a beautifully polished royal presence. You can even make the look of your living room royal by mixing and matching several decor and furnishing elements. 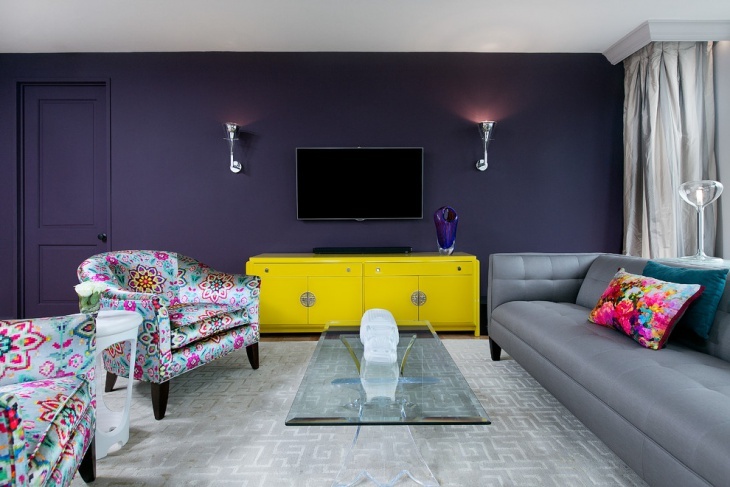 Contrast a royal purple sofa with mustard statement chairs and the room would not require anything more. The royal look can also be included by adding the color gold minimally. You can include a soft purple with the carpet and the color gold with accent pieces like vases and pots. Purple and gold is a very versatile theme that can be used and modified as per your preference. Whether you choose to express royalty with extravagance or with minimalism the theme will certainly not going to disappoint you aesthetically.